In 2012 Pernod brought back to life the famous Pernod Absinthe and the designer from Maison Kitsune, inspired by the brand’s universe, created the design for the first limited edition bottle. The Pernod Absinthe bottles come decorated with a painterly motif of foxes sleeping and playing in a field of absinthe-flavouring anise and fennel flowers. 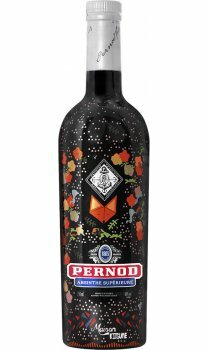 As one of the most reputed producers of absinthe in France, the rarefied beverage blended of wormwood and other herbs has been bottled by Pernod since 1805.